When we leave the port, we will drive to Gyeongju National Museum, rich in tradition, dating back about 90 years. It shows the history of Gyeongju, which used to be the capital of Silla (57 BC~935 AD). The exhibition hall is divided into 4 large parts: the Main hall, Annex I, Annex II, and the Outdoor Exhibit Area (Museum Grounds). Then we will visit the Daereungwon Tomb Complex (Cheonmachong Tomb). Large ancient tombs of kings and noblemen of the Silla Dynasty can be seen around Gyeongju in the Daereungwon Tomb Complex (Cheonmachong Tomb). The next stop will be Bulguksa Temple. Bulguksa Temple was constructed as a representation of the 'ideal world of Buddha'. 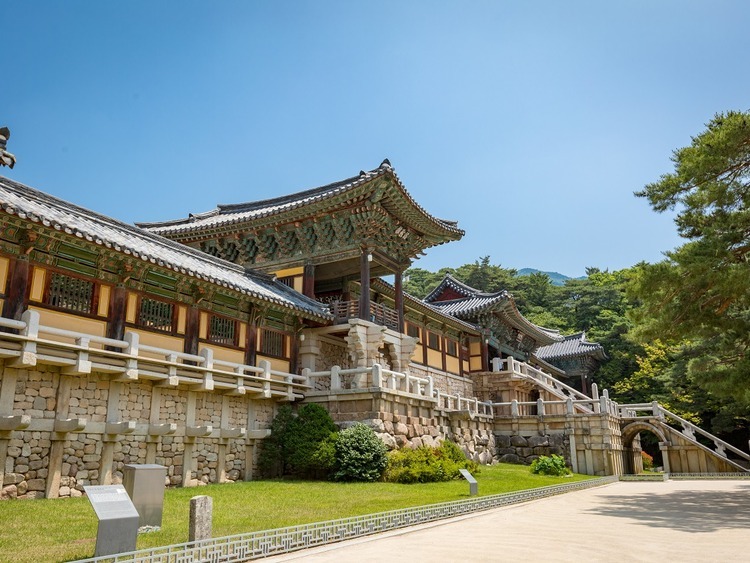 Bulguksa Temple has been a UNESCO World Heritage Site since 1995. The last stop will be Gyeongju Folk Craft Village. This is a village in the foothills of Toman mountain, in the district of Ha-dong, Gyeongju, in the North Gyeongsang province of South Korea. The village was established in 1986 to preserve and develop crafts in the Silla kingdom. It consists of hanok or traditional Korean houses and roof-tiled houses (giwajip) where artisans of Gyeongju origin live and work. Before we return to the ship, we will have some free time for shopping. Local typical food is included for lunch. English & other European tour guides are subject to availability. ?